Without a doubt my cycling performance improved the most when I started to structure my training in 2014. It wasn’t a new set of carbon zipp wheels, riding more bunch rides, hitting the gym or changing my diet to some extreme raw fruitarian. It was good old-fashioned methodical training. The proof is always in the pudding – for years I had stuffed around in B grade, not really obtaining a noteworthy result. My goal was to win a B grade criterium and get that promotion to A grade I had been dreaming of for years. After a few months of training with structure, for the first time ever, I started the criterium season with a bang. I initially thought the criteriums had all of a sudden gotten easier and the talent diminished. The real reason: I was significantly stronger, and within the first month I earned the promotion I’d set out to achieve many years prior. Why had it taken me so long to train with structure and purpose? What training with structure is. How to train with structure. Benefits of training with structure for improved cycling performance. In the past, cyclists have focused on volume over impact; riding the bike for as long as they can without building in controlled efforts. The efforts come in races only and aren’t blended into a structured training program. This common mistake was a motivating force behind the Hurt Box’s desire to educate riders. We started off the conversation understanding a little bit about the Hurtbox and their methodology – they do group sessions with riders, three to five times a week, on the road. The group environment encourages other riders to get out and complete the work. For example, they do hill repeats and track sessions every Tuesday and the group gets behind everyone, creating a supportive environment. During these sessions the Hurtbox coaches can also see the athlete doing the efforts, providing the opportunity for feedback to be given to the athlete in the moment. The coaches also teach riders how to roll turns and ride the wind, teaching the art of conserving energy. Bunch rides can be a good for part of your training regime, but they are not a controlled way to train. There’s a lot of unstructured pedalling in a group ride. Although this high-speed, high heart rate training ticks the adrenaline box, it doesn’t allow you to build efforts and train efficiently. The average wattage for a fast bunch ride might be 250 watts. A solo ride averaging 240 would leave you more fatigued because you tend to freewheel a lot in a group ride. Harry talks about the discrepancies in wattage and pedalling in a group ride, and how it doesn’t build base fitness. What people get consistently wrong is the base. Base fitness comes from pedalling nonstop for two to three hours straight. The Hurtbox will test new clients on an indoor trainer. The rider will perform an hour-long test at 200 watts. Although this is a low wattage, it is not uncommon to see the heart rate rise by 20 beats per minute which is where it should be during a time trial. This is a strong indicator that the athlete needs to spend four to six weeks building a base. Harry talks through the Step Test, which is a mechanism for identifying functional threshold power (FTP). The Step Test enables you to identify the training power ranges from endurance through to maximum efforts. This is important for all training rides, whether outdoor or on the trainer. Your training will become a lot more effective when you know what numbers you need to hit. Harry continues to talk about base training, its importance to overall training and the challenges cyclists typically face with it. Particularly given most riders will be coming from bunch rides, where they do a lot of freewheeling and their muscles aren’t conditioned for constant pressure. Optimising your training is all about dosing the efforts, meaning building to the right intensity across a build phase to mitigate over-fatiguing the muscle, and ultimately improving your peak fitness levels. Steggles talks about a training loop that the Hurtbox uses and the way they build repeated efforts on this loop over a period of time. The group doesn’t necessarily ride these loops any harder but they try to maintain the effort and time it takes and build further repeated efforts on top as the training block continues. Steggles talks about needing 3 months of structured training before a major event or race, assuming you have the right amount base prior to starting a 3-month block. In preparing for a race it is imperative to look at the efforts required within the race so you can replicate those efforts in the training regime. There are also psychological benefits to this type of preparation as you will feel well-prepared come race day. Steggles talks about one of their riders, Brett Kingston. 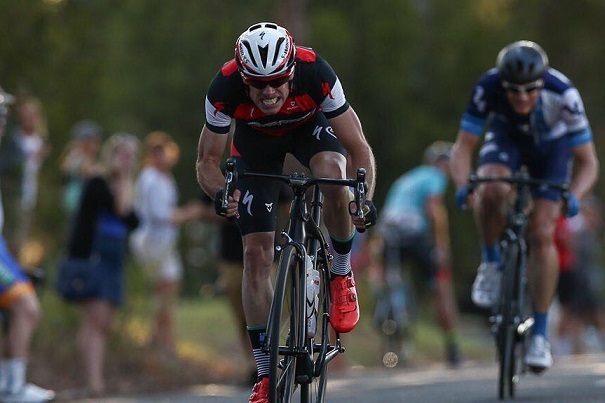 Brett won a stage at the Tour of Bright in 2016. He targeted a specific stage and trained for it, implementing the efforts required in the training program that ultimately got him the stage win. Focusing on different types of efforts is important, including big ring vs. higher cadence efforts. Harry talks about all cadence levels being important in the training regime. Teaching your body to produce power in different ways will enable you to utilise your anaerobic and aerobic energy systems. Lisa talks about the physiology of riders. At a low cadence, Lisa can spot and correct inefficiencies in a rider’s pedal stroke. This will ultimately lead to improved performance. I discuss a race where I managed to ride away from the bunch despite putting in a large five-minute effort only a few minutes prior. Steggles believes one of the reasons I was able to do this was because we trained the neuromuscular system, which is the top end limit to an athlete’s effort. Very few cyclists perform this type of training because you just wouldn’t do it in a group ride. It can be the difference between winning a race or not. Putting these neuromuscular efforts into a framework is fundamental. Otherwise riders can fall apart, either in their training regime or in a race. It’s all about looking at the components of an event or a race that an athlete is targeting and exposing them to the efforts required. 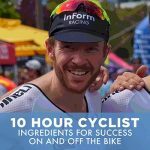 Harry talks about the Hurtbox’s ability to provide athletes with a much better understanding of how to ride a bike for racing. While they provide a structured training regime they also pass on a lot of technical knowledge to their athletes. Lisa talks about progressing riders through their ability to assess data. A female rider who rides with the Hurt Box suggested she didn’t like criterium races as she was “more of a hill climber”. However, the power data measurement has now proven that her strengths suit criterium racing. This shift in mindset recently led her to her first B grade criterium victory. Im now 65 yo and still racing. I always ride in the big ring and seem to use the lower gears more now as I have lost a bit of cadence but still go ok. Should I stick with training in these heavier gears. I think I need to alter my training and would be happy to take any advice. Hi Bruce, thanks for reaching out. Around 90 cadence seems to be an optimal stroke unless you’re looking to build strength for a specific event. Lower cadence work helps to build strength but it also diminishes speed in the legs so it’s alway good to have a blend within your program.